Strawberry picking season has begun! For daily crop availability, check our Facebook page or call (770) 855-1530. 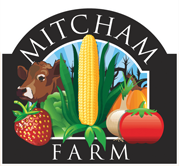 Welcome to Mitcham Farm & Colonel Cob's Corn Maze! We're dedicated to providing your family or group with the absolute freshest-grown Georgia produce and unforgettable fun on the farm! Come visit us in the picturesque Oxford, Georgia! We're conveniently located near Covington, GA and are within an hour of Atlanta & Athens. Come on out and pick-your-own pumpkins, blueberries, blackberries, and strawberries right from the field! Enjoy fresh, locally-grown produce straight from our fields! Our selection includes berries, pumpkins, squash, corn, tomatoes, onions, and more. 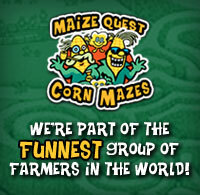 Giant Corn Maze, Outdoor Adventures, & More! We are Georgia's place for outdoor family fall fun! A variety of attractions including the giant Colonel Cob's Corn Maze and Pumpkin Patch, hayrides, giant slide, play area, and more awaits you. Stop by this fall for some a-MAZE-ing fun!